Seven years ago I was walking through Soho, for lunch at the New Piccadily, when we heard we'd won the Olympic bid. 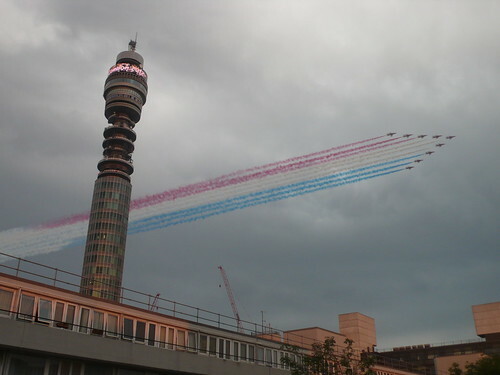 Seconds later the Red Arrows sped by. I was excited then. I was still excited five years ago. Then, last night I almost exploded. All kicked off by the Red Arrows coming through our back yard. Brilliant.